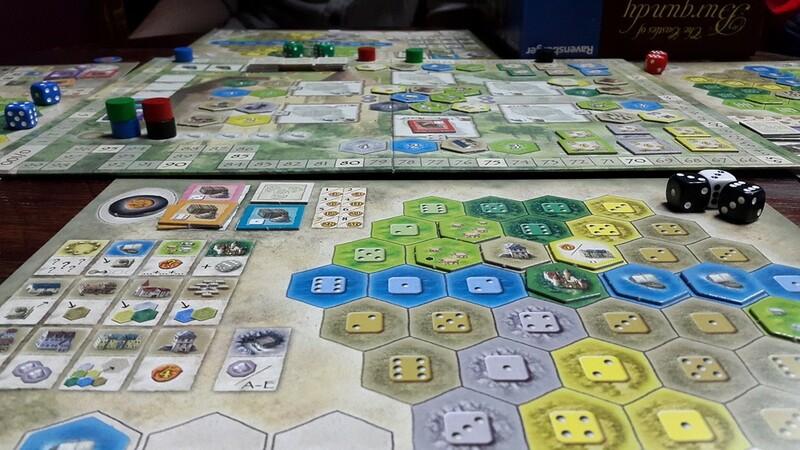 I wrote a list of the best two player board games a long time ago and while it’s a useful reference point, not all two player games are a good fit for special time with your significant other. When you have a few hours alone together – especially if you have children and these hours are rare – the last thing you want to do is tear each other apart in Terrinoth or reenact the Cold War. Or maybe you do, in which case this list won’t be for you. Rather this list is for gamers and their boyfriends, girlfriends, fiancés or spouses on those nights when you want something relaxing, enjoyable, and mostly conflict free. 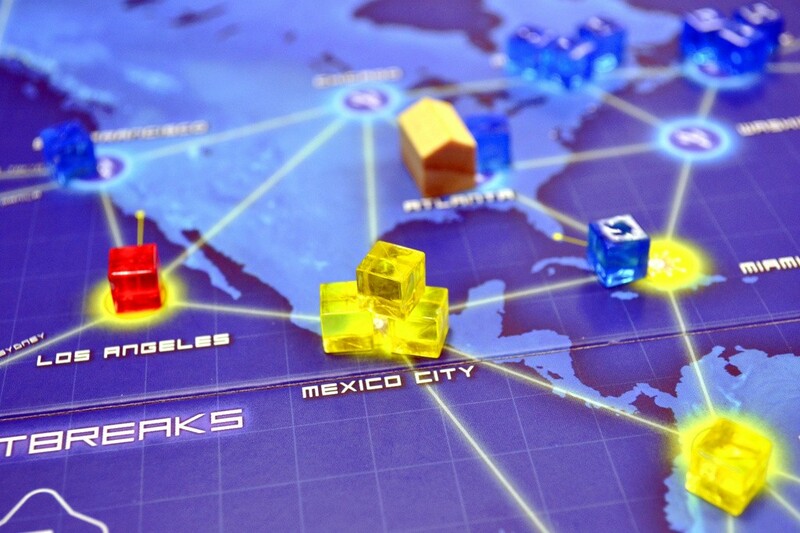 I’m starting the list with Pandemic because it’s one of those quintessential date night games. It’s cooperative, so the risk of conflict is low, but the tension remains high. Better yet, there are a number of variants for Pandemic including its four expansions (In the Lab is a must), Pandemic: The Cure, and most recently, Pandemic: Legacy. 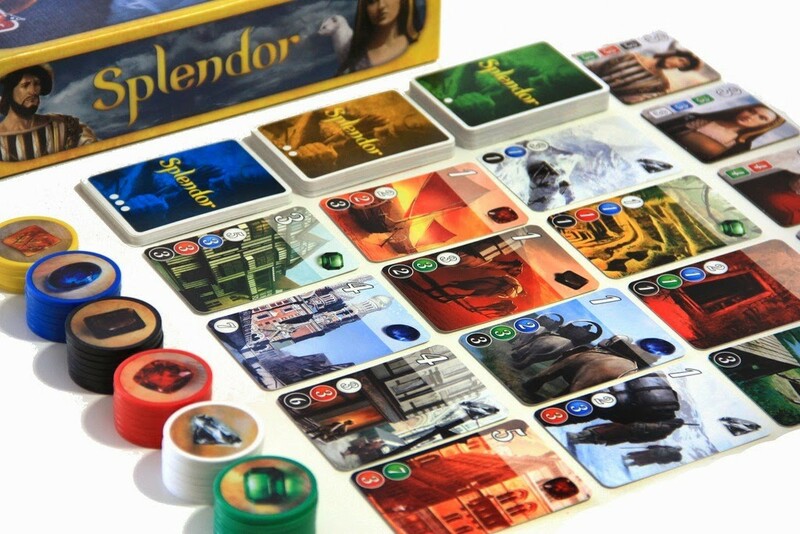 Splendor is a brilliantly simple engine building game in which you gather gems, spend them to buy cards (that represent even more gems) and work your way up towards top tier victory point cards and tokens. The theme is tentative at best, but a game of this for two players who know it well can be completed in 15-20 minutes and the poker chip currency is immensely satisfying. If you’re not sure, there’s a very solid app for iOS and Android you can check out to see if it will work for you and your significant other. If you’re feeling up for something silly, moderately combative, and yet too goofy to cause any real strife, check out Flick ’em Up. 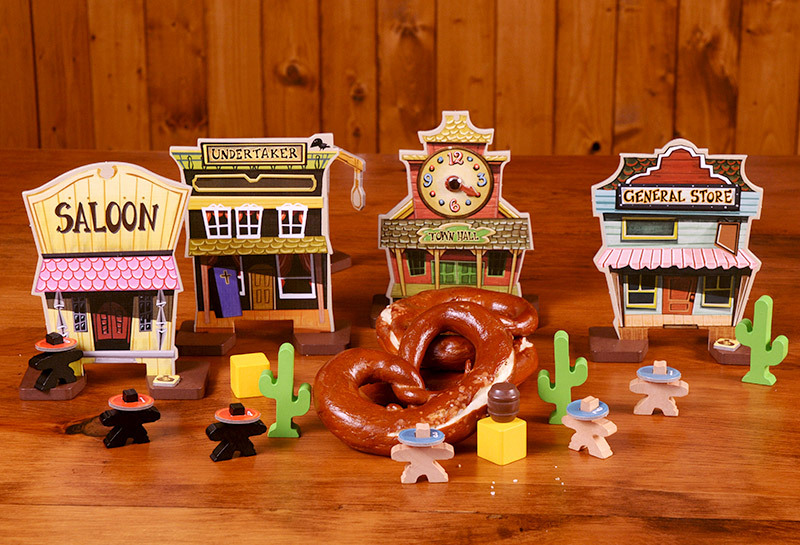 Released this past summer for Pretzel Games, this is dexterity game set in the wild west. With standup houses, thick wooden pieces and cowboys that you move around the table by flicking chips, this is about as much fun as you can have in a short sitting and it works perfectly with two people. 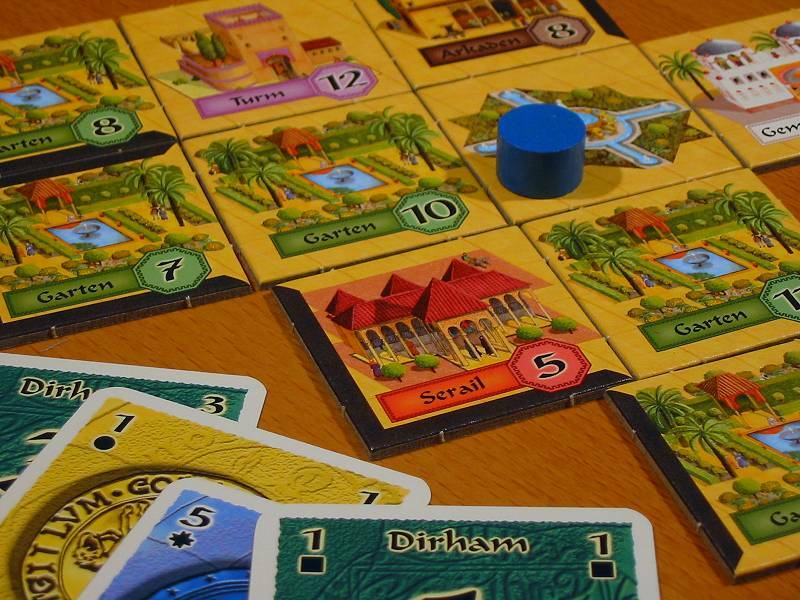 I’ll be perfectly honest – Alhambra is not the perfect two player game. It’s a bit too even with this few players and it’s too easy to get the cards you want, but that said, my wife and I have played this more often than any other game in my collection and we have a lot of fun. We can have a conversation while playing, it’s mostly non-confrontational, and the game is still challenging enough to create tension and create those exciting end-game moments when things swing one way or another. I’d recommend mixing in at least one of the first three expansions for it, but otherwise, this is a good one for a couple wanting a nice, quiet game night. This is the only other cooperative game on this list, and for good reason – it’s very different from the others mentioned above. Rather than working together with essentially shared resources to combat a global threat, you’re working with your own deck of cards and your own tableau to combat that global threat. This is a game that can (and often is in my house) played solo. That means the interaction is as much or as little as you want it to be, and if you and your spouse both enjoy The Lord of the Rings backstory and universe, it will be a hit. 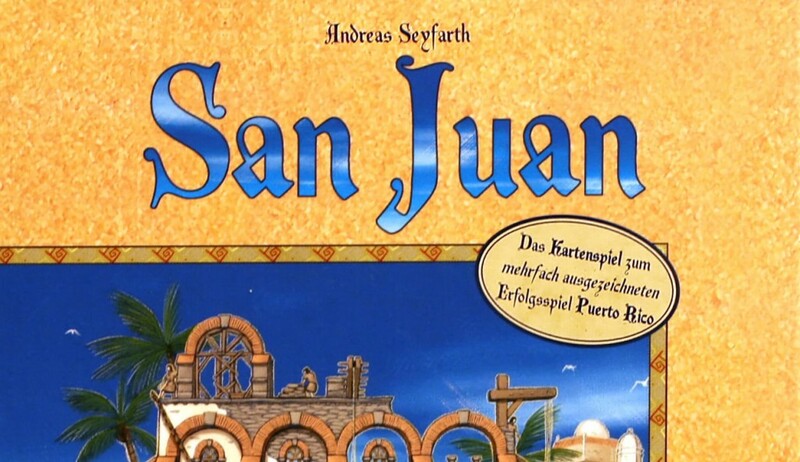 San Juan is a near perfect two player game. It’s quick, it’s light, and it’s elegant. You use a single deck of cards for both the tableau and the currency and it can be taught in just a couple of minutes. With the game finally back in print in its revised second edition, it’s one I’d recommend picking up over any of its heavier brethren in this category. That said, if you want something meatier to sink your teeth into, Race for the Galaxy is equally great with two players and works well for a game night. The last game on this list, Castles of Burgundy is a fantastic game with exceptional depth and a wonderful degree of engagement for two players. The asymmetrical boards and random draw of both tiles and role of the dice make this is a highly replayable game and a favorite with everyone I’ve ever played it with, including my wife. 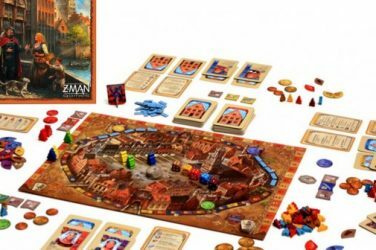 It’s also relatively affordable and at the moment in print and easy to find – this one is definitely worth picking up for your next game night.